Papaver somniferum, commonly known as the opium poppy or breadseed poppy is a species of flowering plant in the family Papaveraceae. 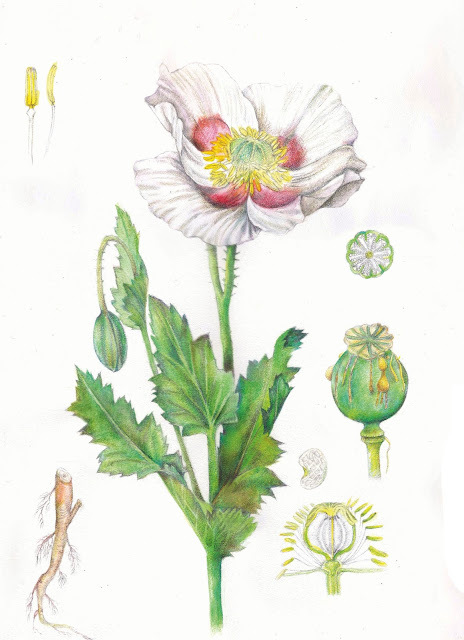 It is the species of plant from which opium and poppy seeds are derived and is a valuable ornamental plant, grown in gardens. Its native range is probably the eastern Mediterranean, but is now obscured by ancient introductions and cultivation.